Indore is the largest populated city in Madhya Pradesh state with headquarters of Indore division and Indore District. The nick mane of Indore city id “Mini Mumbai”.In India, Indore is the one and only city that accommodates Indian Institute of Technology (IIT) and Indian Institute of Management (IIM). According to the 2011 census, the literacy rate of Indore is near about 87.38%. The students will get the idea about the Top Engineering Colleges in Indore 2016, admission procedure, and ranking criteria of the college from this article. 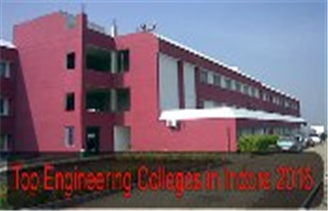 There are several prestigious engineering colleges in Indore district for higher studies. At Singheducation, the top engineering colleges/institutes are listed. Aspirants can get more details about the college by clicking on the link of the preferred college. The colleges are rated/ranked on the basis of the education quality furnished to the students, placement statistics of the college, affiliation, accreditation, etc.